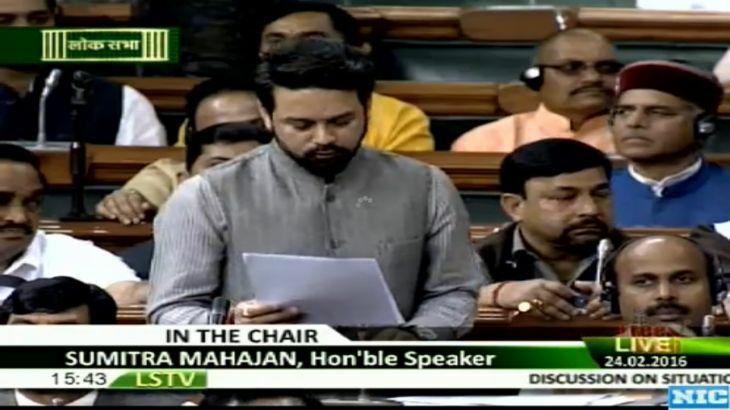 Bharatiya Janata Party MP Anurag Thakur on Wednesday, 24 February launched a blistering attack against Congress vice president Rahul Gandhi, saying the party leader visited the Jawaharlal Nehru University to support the students who raised anti-national slogans. "Are you with Afzal Guru or with the democracy?" Thakur asked. "Why Rahul Gandhi supported the students who were raising pro-Afzal Guru slogans in the JNU?" he asked.